Aura-Soma® is available in Northern Colorado. This ancient knowledge system of colors, herbs, crystals, gems, and essential oils combine to improve your spiritual well-being. Aura-Soma Equilibrium bottles are a non-invasive part of an overall color energy system that raises your vibration and helps you come to a better understanding of yourself. 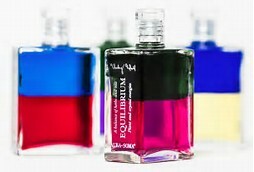 The Equilibrium bottles are the heart of the Aura-Soma system. Their color energy creates a gentle vibration. This vibration helps you delve deeper through the layers of your awareness. As you go through these layers, you will tap into the deep source of your potential. Aura-Soma colors allow your inner qualities to naturally flow to the surface, effortlessly. Aura-Soma is a self-selective, non-intrusive system where the colors you choose (or that choose you) are reflective of things that you need to work with on a deeper level in order to reach your best self. This method of analysis starts with an introduction to the bottles by Melody. After a few brief comments, you will select the bottles you are most drawn to. From these selections, Melody puts together a packet of information about the bottles you choose and how to use them, and reviews this in detail when the first bottle arrives. Follow-up sessions ensure that you're on track and progressing through things as desired or if modifications need to be made. CAUTION: For external use only. No therapeutic, drug, or healing claims related to the physical body are made. Aura-Soma is a registered trademark of ASIAC.